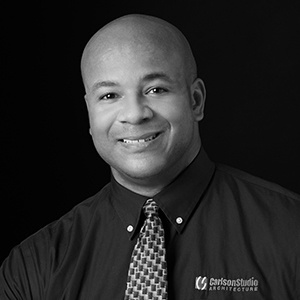 Upon graduation, Arthur relocated to Pittsburgh, Pennsylvania, where he worked on a wide array of project types such as: Historic Preservation, Residential, Commercial, Mixed-Use, Institutional, Hi-Tech, and Athletic Facilities throughout the United States. In addition to his experience in architecture, he has worked extensively in the construction industry as a Project Manager and independently as a private real estate developer. Throughout his career, Arthur has served as a liaison between architecture, construction, and real estate development organizations and various community groups. Arthur possesses strong skills and knowledge of public process and community engagement, outreach, and participation efforts on publicly funded projects. He ardently believes in the merits of socially-conscious design, and architecture’s ability to help people and work in harmony with nature. In addition, he is a passionate advocate of historic preservation, environmental sustainability, and being a thoughtful steward of the built environment. He is a member of the American Institute of Architects, National Organization of Minority Architects, Social Economic Environmental Design Network, and United States Green Building Council. Arthur returned to his hometown of Sarasota in 2013, and joined Carlson Studio Architecture in 2014. Get Arthur on your team today!